The Calhoun Community College Surgical Technology Program is designed to prepare graduates for employment and careers in this exciting and rapidly growing medical field. The program provides the student with the knowledge and skills to function as an integral part of the team of medical practitioners providing surgical care to patients in a variety of medical settings. The Surgical Technology Certificate Program at Calhoun Community College consists of four semesters of classroom, lab, and clinical education. A student completing the program receives a certificate and is eligible to sit for the NBSTSA Certified Surgical Technologist Exam. Calhoun Community College also offers an Associate of Applied Science Degree in Surgical Technology. Student wishing to receive the AAS degree must complete the certificate program plus an additional 18 credit hours of required general education courses. The Surgical Technology Program will present a Program Information session multiple times during the year. All sessions will be held on the Decatur Campus, in room 203 of the Health Sciences Building. There will be a short quiz at the end of the Information Session. 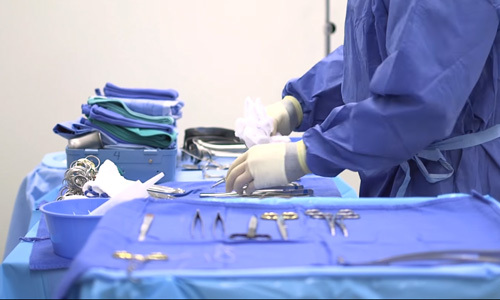 Surgical Technologists are employed in a variety of medical settings including hospitals, free standing surgical centers, and physician medical offices. Currently, there is a high demand for Surgical Technologists, with employment opportunities nationwide. Locally, the average starting pay for Surgical Technologists ranges from $12.00 to $13.85 per hour at larger facilities.